If you are like most people, you won’t know you need a multi-tool until you actually have one. 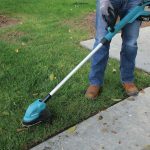 They have dozens of uses for all sorts of odd jobs, many of which won’t be apparent until you have the tool in your hand. Multi-tools are hand-held, corded or battery tools that have oscillating heads. The head moves back and forth in a very tight arc. Fit a cutting blade or some other attachment to the head and you can cut, shear, grind and sand in a very small space. Its small size is one of the reasons it is so useful: It can fit in spaces where larger tools cannot. And the tools can cut through most materials, including wood, drywall, PVC, foam insulation, carpeting, metal and more. If you have a favorite tool manufacturer, there is a good chance they make a line of multi-tools. Here are some situations where you will find a multi-tool useful. 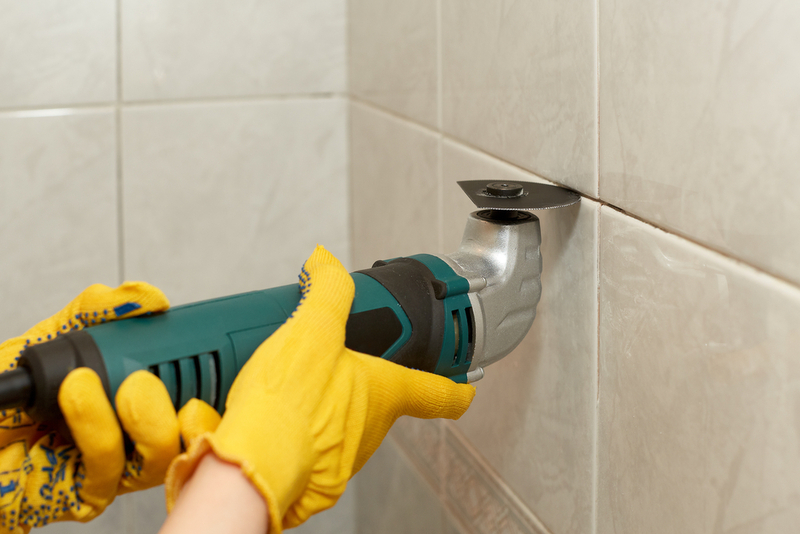 When it is time to re-grout a backsplash or a tub surround, use a multi-tool fitted with a grout blade to remove the old material. 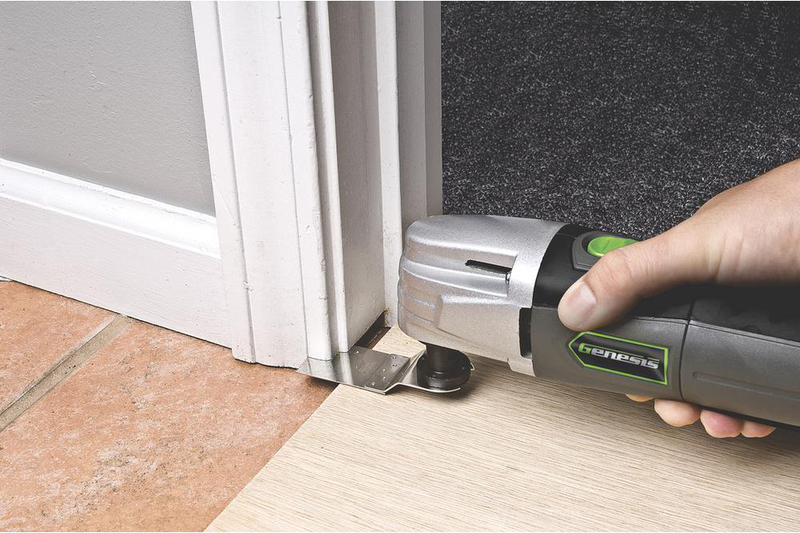 Use a multi-tool with a scraper blade to remove carpet adhesive or any hard-to-remove adhesive. They also come in handy for digging hardened caulk from joints. Multi-tools can give you cutting or grinding power in cramped quarters. 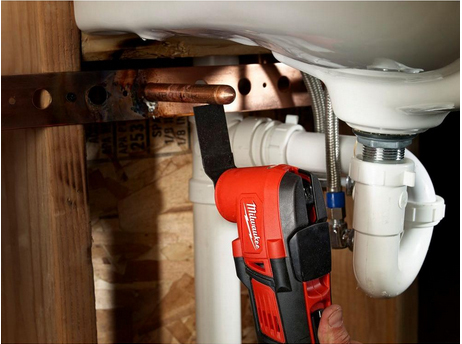 With a metal cutting blade you can trim copper plumbing lines with ease. You can also use the tool to loosen corroded sink nuts that you can’t get to budge with a wrench. The tools also do a quick job of cutting through the nuts that hold toilets to the floor, as well as the nuts that attach the tank to the bottom part of the toilet. 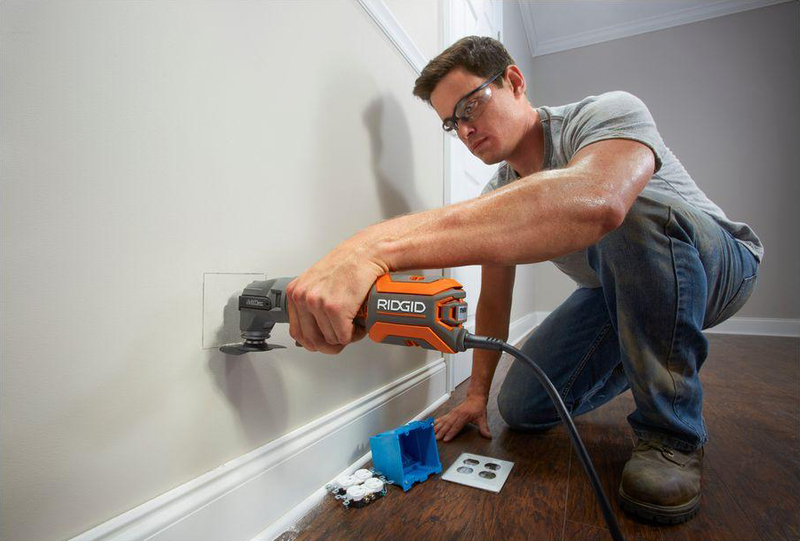 Whether you need to cut through drywall to install an electrical receptacle box or hardwood flooring to install a vent for ductwork, you can make clean cuts without marring the surrounding surface. Adding a new floor often means it is necessary to trim the door casings and baseboard to get a professional looking fit. 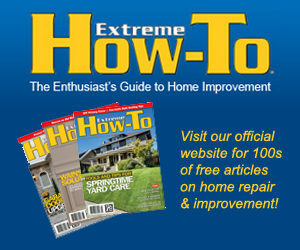 Use a sample of the new flooring as a guide to make the cut. 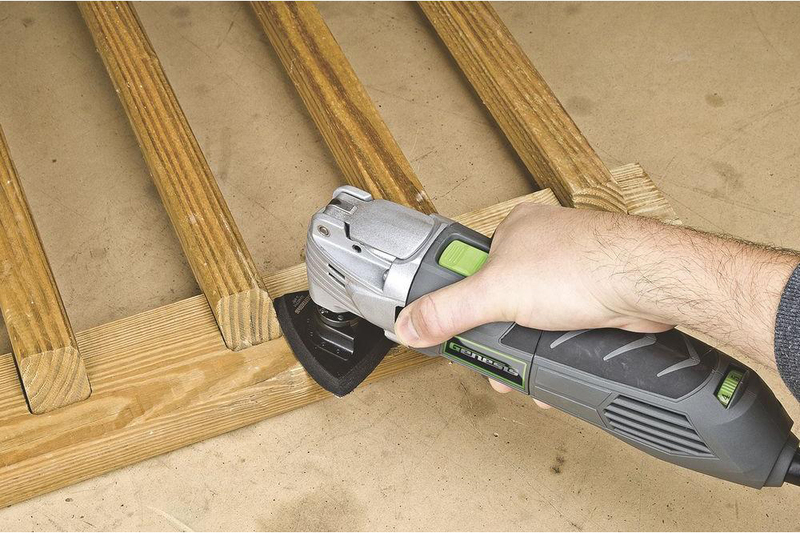 You would not use a multi-tool on large surfaces, but you can accomplish detail sanding in very tight spaces. They are also good on narrow areas like window mullions. A multi-tool probably will not replace your other tools, but in some situations, you may find it is the best tool for the job. Editor’s Note: Fran Donegan writes home- and garden-related content for numerous digital and print publications. He is the author of the books Pools and Spas and Paint Your Home. To see a wide selection of multi-tools like Fran described, check out Home Depot’s website.